Congress has finally approved a sweeping tax bill that will change what millions of consumers pay in federal income taxes and how they pay it. The Senate passed it Tuesday night after stripping out three minor provisions that violated Senate rules, which required the House to re-vote on the legislation today. The bill next heads to the White House where President Trump is expected to quickly sign it, making it effective for the 2018 tax year. Taxpayers have two options when they fill out their federal tax return. They may itemize deductions, such as home mortgage interest and charitable donations, or they can take what's called the standard deduction. For 2017 the standard deduction is $6,500 for individuals and $13,000 for married couples. For 2018, it nearly doubles to $12,000 for individuals and $24,000 for couples. That amount is deducted from income and typically reduces the amount paid in taxes. Economists say that will likely mean that millions of consumers who normally itemize deductions will simply claim the standard deduction because it will be higher than the total amount of their itemized deductions and result in a lower tax bill. It will also be easier to fill out their return since fewer forms will be required. Under current law, taxpayers may deduct the taxes they pay to state and local governments, including the property taxes they pay on their homes. The bill does not eliminate this deduction, but caps it at $10,000. For most consumers this will have little effect. However, for consumers who live in high tax states like New York, New Jersey, and California, this could end up increasing their taxes. If someone pays a total of $20,000 a year in state and local taxes, they will only be allowed to deduct $10,000 of that amount starting next year. Under current law, homeowners may deduct mortgage interest on homes. That provision, along with the state and local tax deduction, has been a big benefit to homeowners, essentially lowering the cost of home ownership. For most homeowners, the new law will have little effect. It caps mortgage interest on homes to those valued at $750,000. Again, it will likely have the most adverse impact on homeowners in the Northeast and California, where home values are highest. The new tax law will keep the same number of tax brackets but will assign different levels for them. In 2018, the brackets will be 10, 12, 22, 24, 32, 35, and 37 percent. Income levels for these brackets also shift, usually to the downside. A couple earning $76,000 would move from the 25 percent bracket down to the 12 percent bracket. The tax bill lowers the corporate tax rate from 35 to 21 percent. Advocates say that puts the U.S. corporate tax rate more in line with other nations. But the measure also contains a tax break for small businesses that are not corporations -- many owned by individual consumers. 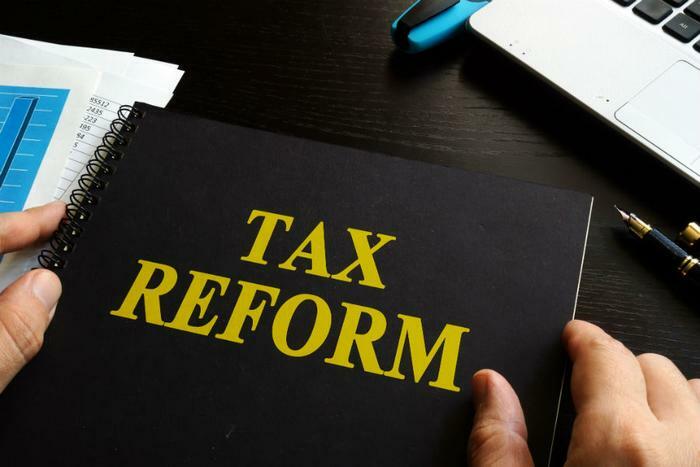 Starting next year there will be a 20 percent business income deduction for sole proprietors -- individuals who own a so-called "pass through" business, whose profit and loss is reported on their personal income tax return. "I think the simplest and most direct way to describe this bill is with a phrase that many of us are using: It is the wrong bill at the wrong time," economist Joel Naroff, of Naroff Economic Advisors, told ConsumerAffairs. He describes the measure as the kind of policy that should be implemented when the economy needs a boost, not when the nation is near or at full employment and growth is good. He says it is the wrong time in the cycle for expansionary fiscal policy. Naroff's main complaint is that the legislation continues what he sees as a redistribution of wealth to upper income households, noting they stand to gain the most because they pay the most in taxes. "The middle class gets a tax cut that is significantly less than higher income households and lower income households get almost nothing," Naroff said.